In Person Pickups - If you are in the Minneapolis/St. Paul MN metropolitan area, we invite you to our location to pick up your pre-paid order directly. All "website pickup orders" MUST be placed on our website PRIOR to arriving. Our Retail Store location is adjacent to our warehouse and offers similar business hours (except open later Thursdays, and open Saturdays) and does not require your order to be placed prior to arriving*. 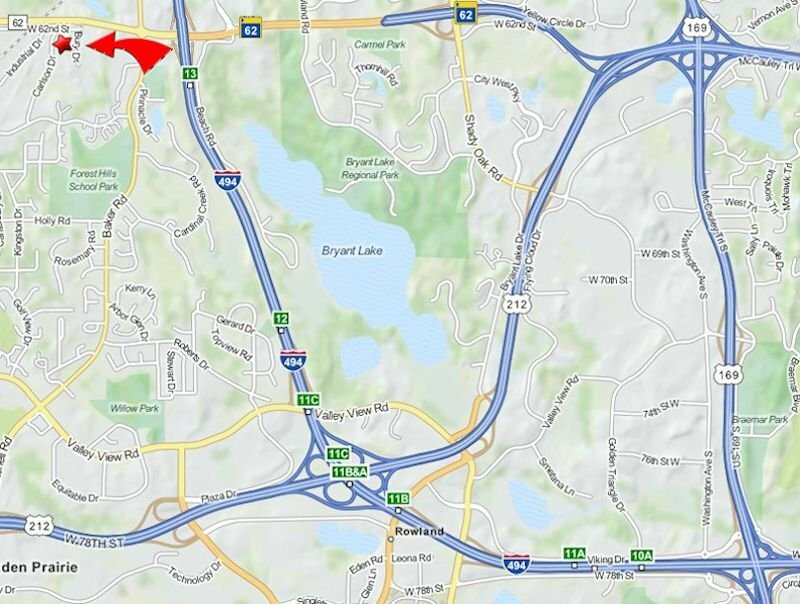 Our warehouse and retail store location is at 6224 Bury Dr, Eden Prairie, MN 55346. 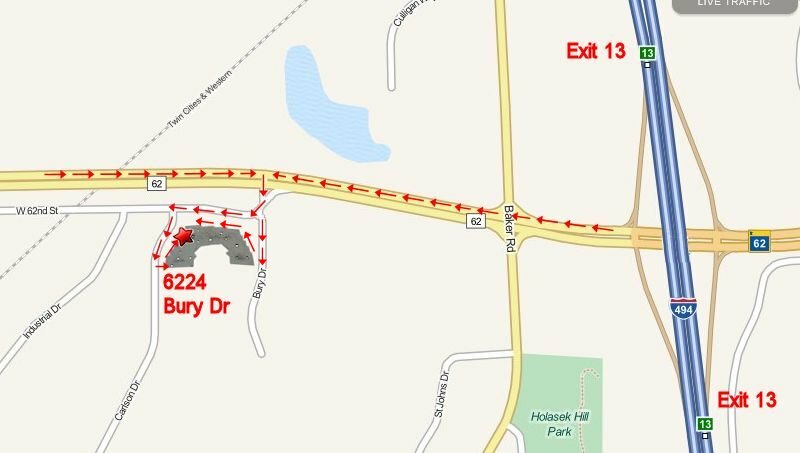 Bury Dr runs off County Rd 62 in the North-east corner of Eden Prairie. County Rd 62 intersects I-494. Our warehouse is 1 block WEST of Minnetonka Marine, or 2 blocks WEST of Lifetime Fitness off of Baker Rd. From I-494, take Exit 13, and head WEST on Cty 62 for 2 blocks. Turn SOUTH onto the frontage road for Bury Dr / Carlson Dr / Industrial Dr.
Make an immediate left into the building's driveway, and left again into the parking lot. * - Our retail store prices are the SAME as our website prices. However, orders placed on our website offers a slight discount for quantities.